DongCasino.com was an online casino and sports betting website launched in 2013. I have been involved with this startup from day one. My role was to design and develop their complete identity, branding (including logo), and the design of their website in collaboration with the DongCasino team. Their target audience consists of the Chinese population within Europe. Considering the audience, one of the important tasks was to make sure the design of the website would fit well with the target audience. Colors, figures, numbers and symbols play a huge role in the Chinese culture. Especially when it comes to gambling, superstition is not something Chinese people take lightly. Certain colors allegedly give bad luck. On the contrary, there a number of specific characters that give you luck. For instance, Caishen *(literally: “God of Wealth”)* is the Chinese god of prosperity worshipped in the Chinese folk religion and Taoism. 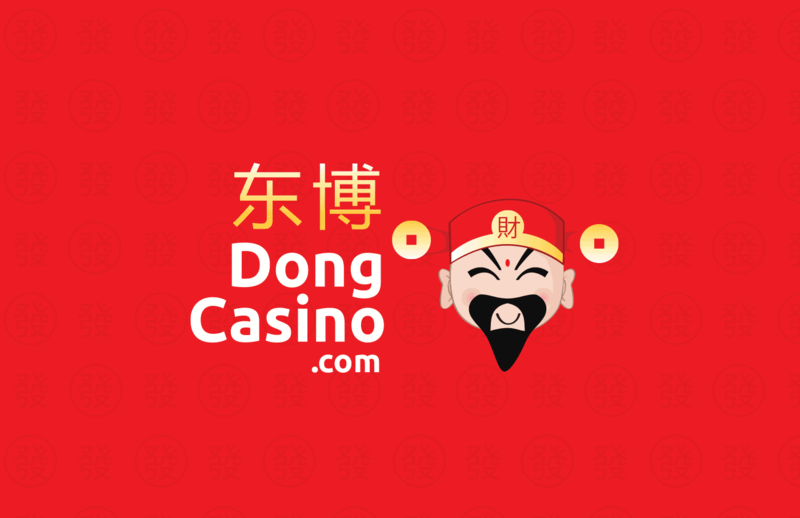 Together with an employee at DongCasino, we chose to incorporate ‘Caishen’ into the logo. This way Dong Casino reflected ‘prosperity’ in the heart of their business and to their end users. Update: DongCasino.com is currently not in operation anymore.